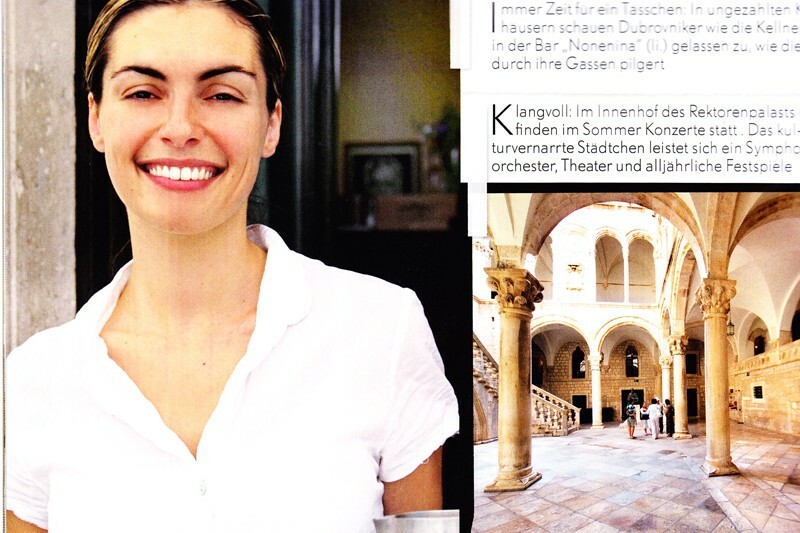 The October issue of the leading travel magazine in Germany- “GEO Saison” features an article aboutDubrovnikunder its cover theme „Best period for city break“. “GEO Saison” is a renowned monthly magazine published in 138,485 copies with each issue being read by more than 500,000 readers. The value of the article about Dubrovnik is estimated to 1,690 Euro. The author of the article about Dubrovnik, Titus Arnu, visited the City in June in order to write it and his stay was arranged by Croatian National Tourist Office in Frankfurt, Croatian National Tourist Office in Zagreb, Tourist Board of Dubrovnik-Neretva County and Tourist Board of the City of Dubrovnik. The author does not hide his enthusiastic views of the City in his 10-page article named after the famous George Bernard Shaw’s quote „Those who seek paradise on Earth should come and see Dubrovnik“. The article features high quality photos, some even black and white, that add up to the charm of the centuries’ old City under the Hill of Srđ. Last two pages of the article bring recommendations of the hotels and restaurants, places to go out, as well as other useful information needed for planning a memorable holiday in Dubrovnik. From January to September this year, Germans have been the number three tourist in Dubrovnik with 36,574 arrivals or 15% more than last year, and 167,752 overnight stays which is 18% more than in 2011. During the summer season,Dubrovnik is connected with German cities via eight direct flights going toBerlin,Cologne, Düsseldorf,Frankfurt,Hamburg, Hannover,Munich, andStuttgart). Taking into consideration winter direct flights to Frankfurt andMunich, the increase of guests arriving from German market is expected in the period.